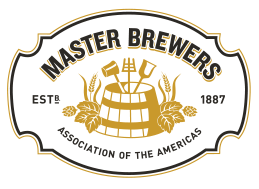 We have found that breweries have varying levels of refrigeration based upon the type of beer they produce. Low-temp and mid-temp coolers with refrigeration are wasting a great deal of money year over year on the evaporators running at high speed. 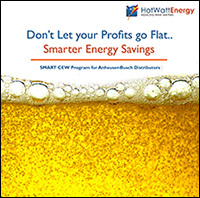 We are able to help reduce the waste in all parts of your facility by implementing our SMART CEW Program. A cold storage facility has a project Payback of 18-36 months, and will save thousands or tens of thousands depending upon the size of the facility over the life of the system. The purpose of a commercial refrigeration compressor and related equipment is to remove heat from the space, and there’s a 95% chance your current system design is completely counterproductive. It’s time to save money, reduce noise, and reinvest those dollars back into your business. What is a SMART Controlled Environment Warehouse? First and foremost, it is efficient in it’s minimal use of energy. It is smart because the building systems are controlled to be on, off, or partially on only as required by employees and temperature. A SMART CEW costs less to operate, and is a safer and more enjoyable working environment, benefiting your most valuable asset – the team that makes it all happen! Click on the Brochure below to learn more about our process and share with your team. Get a 30 minute in-depth education on best energy practices for your facility. Fill out the form to request a web conference that details how we can help your business.